The Bissell BGUPRO14T upright vacuum’s powerful motor ensures that dirt and dust is picked up with just one pass. 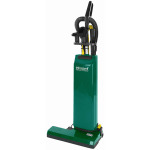 There is a manual height adjustment, allowing you to accommodate different floor surfaces. The 46-foot power cord covers up to 92 feet of space and can be replaced easily without using tools. Transporting the vacuum is easy with the large rear wheels and 19-pound weight. The modular component system disassembles without tools and is easy to troubleshoot and repair. The upholstery brush cleans couches, chairs, and other items with fabric. With the dusting brush, the vacuum traps dirt and dust without scratching furniture. Clean in hard-to-reach areas easily with the crevice tool. 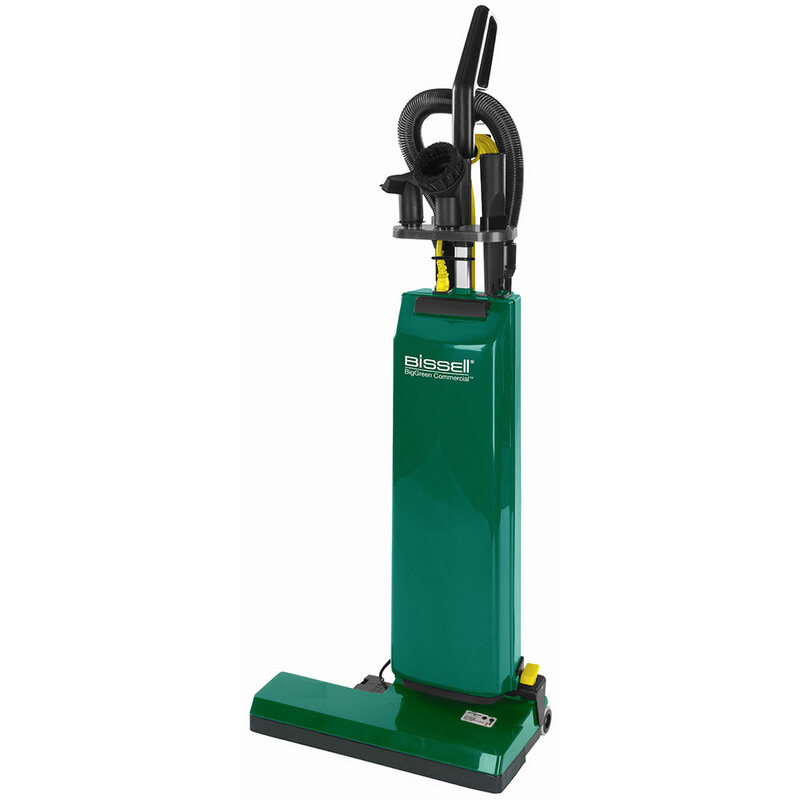 With the included wand and stretch hose, the vacuum reaches 9 more feet to easily clean items that are in tall, out-of-reach areas. 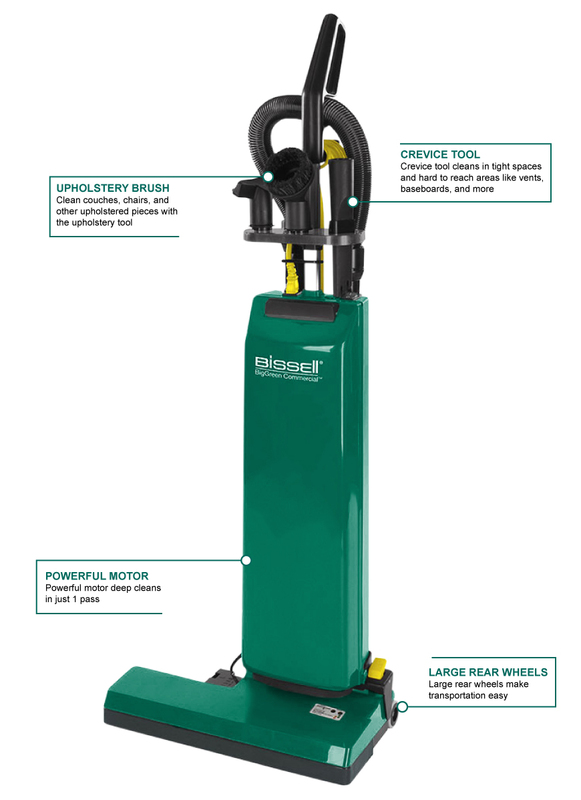 When using the attachments, the Bissell BGUPRO14T upright vacuum will not fall over thanks to the balanced center of gravity.